RCRC’s 3rd Annual Fall Gala- United We Band in Action! 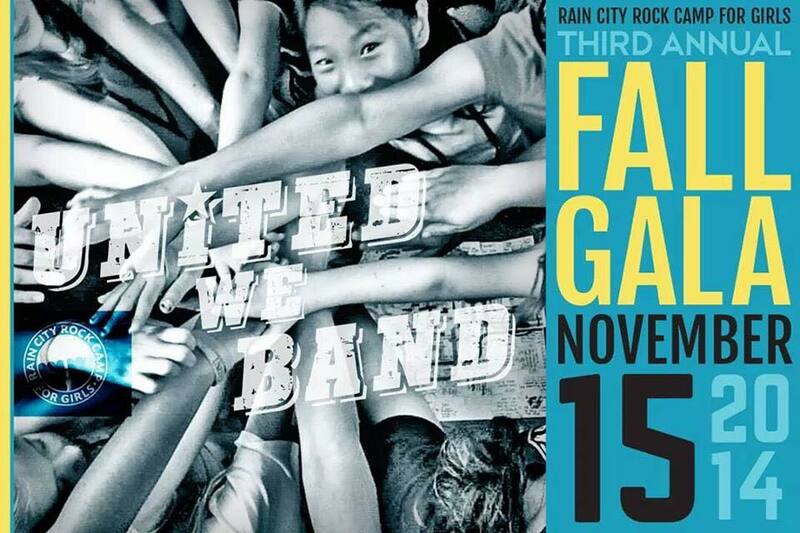 Home » News & Events » News » RCRC’s 3rd Annual Fall Gala- United We Band in Action! Join us for the party of the year-RCRC’s Annual Fall Gala! We invite you- the community- to experience the magic. This event plays an important role in the financial support of our Summer Camps and additional year-round programming. Last year we raised over $32,000, which is equivalent to over 80 full scholarships to Summer Camp- now that’s powerful collective action and generosity! Come together and help make a difference in the lives of girls and the way they think about themselves- through the creative power of music. Ticket sales END November 7th, Buy your tickets now! This event is open to 21+. All tickets include a seated dinner & wine. We’re excited to host this year’s event at Emerald City Trapeze Arts in SODO. The rustic charm, wood-beam construction and funky décor are the perfect setting for an RCRC celebration! VIP Attendees will be treated to a performance by RCRC volunteer Alex Niedzialkowski from the Seattle band Cumulus, and General Admission guests will arrive just in time to hear RCRC AMP at EMP alum band No Gravitational Pull as they reveal new songs and share their hit from this summer. Our emcee for the evening is Ladies Rock Camp rising star and Summer Camp volunteer, Dacia Saenz, and our “Raise the Record” portion of the evening will be led by the dynamic Adra Boo from Seattle band Fly Moon Royalty. And that’s not all! You never know if you might see your face gracing the glossy pages of a premier Seattle magazine after the event, as our professional photo booth will be supplied by Seattle Met Magazine! There is more, but you’ll have to join us to find out all of the RCRC shenanigans we have in store for you! Together our voices are louder, stronger and united. UNITED WE BAND. Band of 200: Join the Band Today!